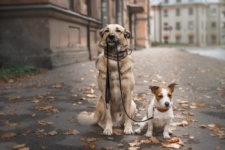 If you and your dog are enduring a winter in Chicago, here are some dog fur tips that will help your buddy maintain a healthy coat! 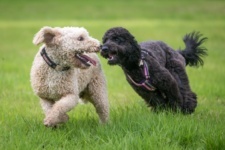 Maintaining a healthy coat for your dog is a huge priority in order to promote his or her overall wellbeing. 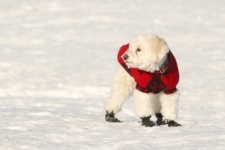 For those enduring a winter in Chicago, there are some dog fur tips that will help to maintain a healthy coat. Because of the need of doggy sweaters and coats during winter in Chicago, some dog owners make the mistake of shaving down the fur to allow for a snug and tidied look. However, shaving the fur actually takes away from your dog’s natural protectant from the cold and strips the coat of its essential oils. 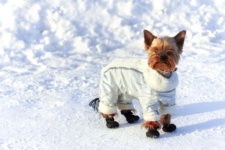 Some dog owners make the mistake of refraining from cutting the fur at all during winter, in the misguided belief that it will provide sufficient warmth in the cold. However, Chicago’s frigid winters often warrant added protection from the elements. Keeping your pet’s fur extra long isn’t a way to avoid purchasing winter apparel, since your dog will most likely need a coat or jacket. Also, the extra long fur adds to the battle against hanging ice balls from romps in the snow, and makes it harder to maintain throughout the winter season. Preserving a healthy coat starts with treating the scalp. The difference in temperature from coming in-and-out from the cold can cause a dog’s scalp to become dry, itchy, and uncomfortable. Purchasing preventative liquid skin and coat treatments or restorative shampoo and conditioner can be a simple solution in maintaining healthy fur during the winter in Chicago. For an added boost to your dog’s skin, dog food including increased levels in omega-3 or omega-6 fatty acids is a great way to supplement much-needed nutrients during the colder months. Speak to your veterinarian before making any changes to your pup’s diet though! 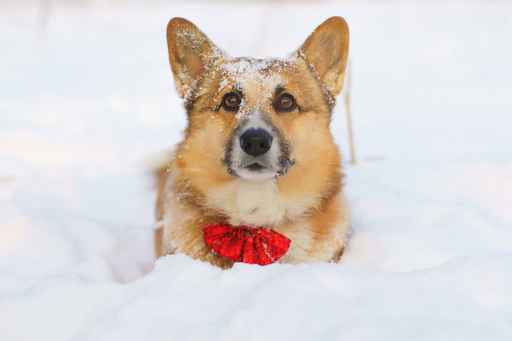 It can be tempting to add extra baths and showers to your dog’s routine during the winter months, since the sleet and slush can make fur hard to keep clean. However, over bathing can lead to flaking skin, and can strip the scalp of its essential oils. To maintain a healthy balance, dog owners should limit bathing during the extremely cold months of winter. 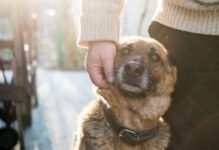 Most dog owners realize how important the paw pads are for dogs, whether it’s protecting against hot pavement during the summer or slick surfaces during winter. However, the upper paw and toes can often be forgotten. Because of the toxic properties in ice melters used in the city, it’s important for dog owners to pay extra attention to the fur on your dog’s paws. The chemical properties can cause irritation between the toes, and can be toxic if ingested. For a healthy and comfortable dog, owners should take care in thoroughly cleaning their dog’s paws after being walked outdoors in winter. 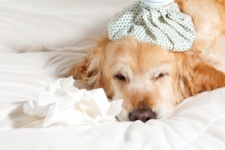 The effects of winter on a dog’s fur can cause discomfort, as well as damage your pet’s overall health. Following a few tips on how to maintain your dog’s fur for winter in Chicago can ensure a healthy coat that will last throughout the year.